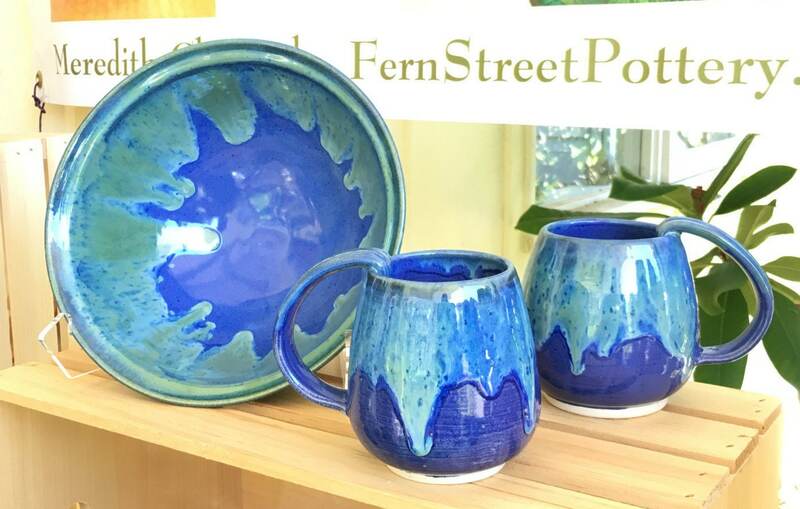 This mug was thrown on the wheel by Meredith at Fern Street Pottery. 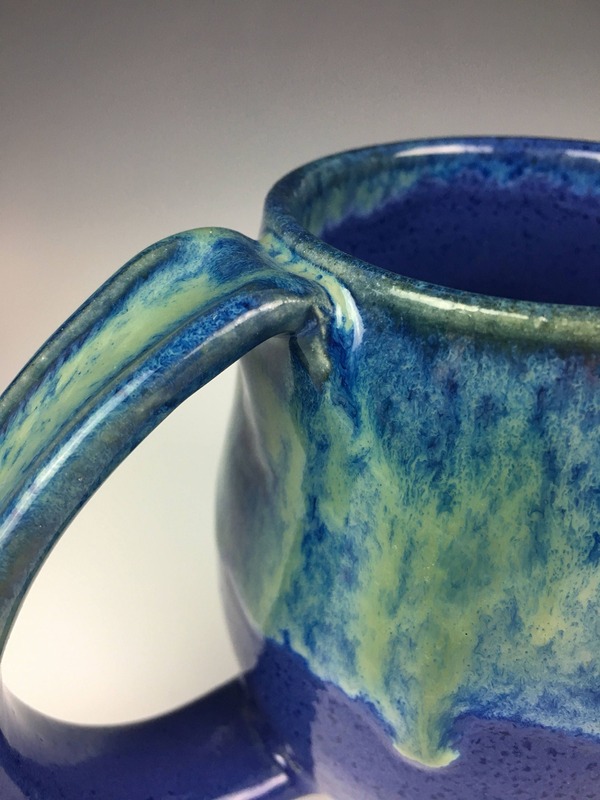 The mug thrown with a bright white stoneware clay then trimmed to have a finished foot and the handle was added. 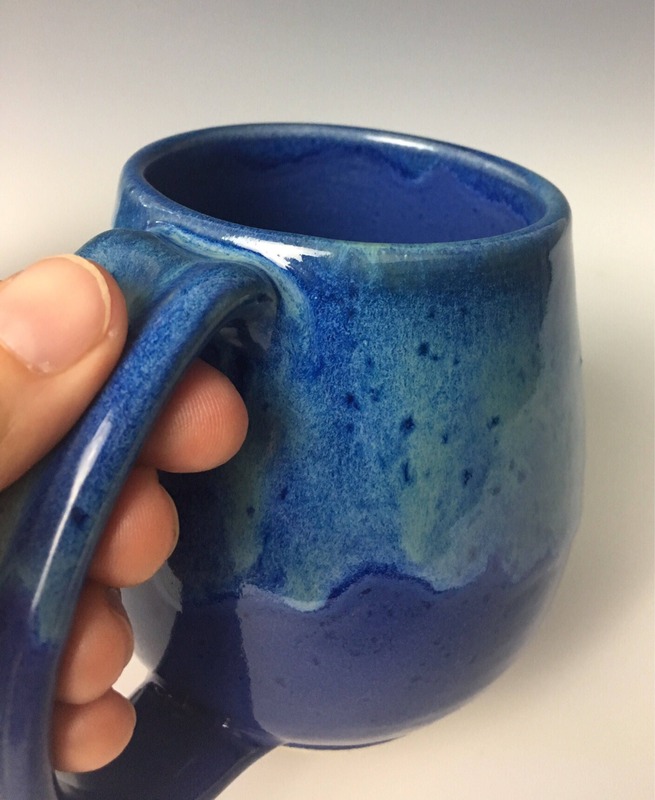 The shape, which curves in at the top is specifically designed to keep your beverages warmer longer. 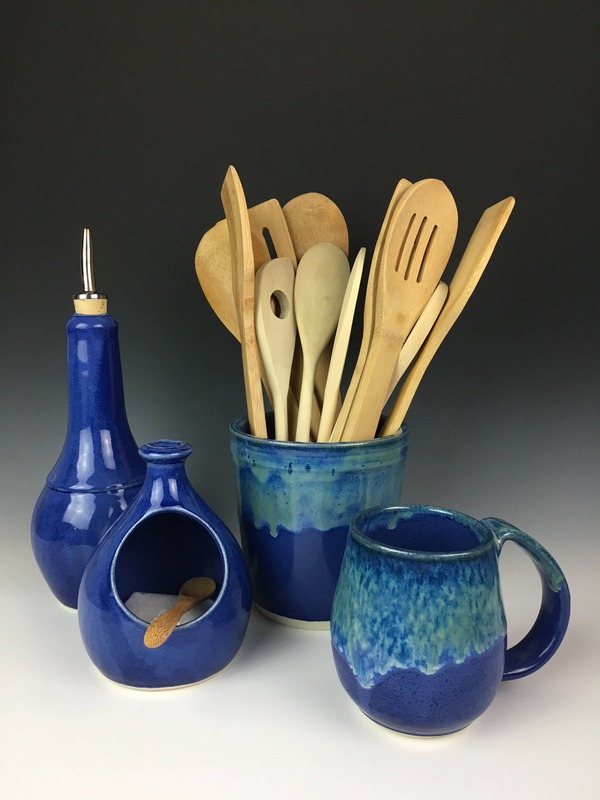 The handle is hand pulled, creating a shape that fits comfortably in your hand, with a groove for your thumb. 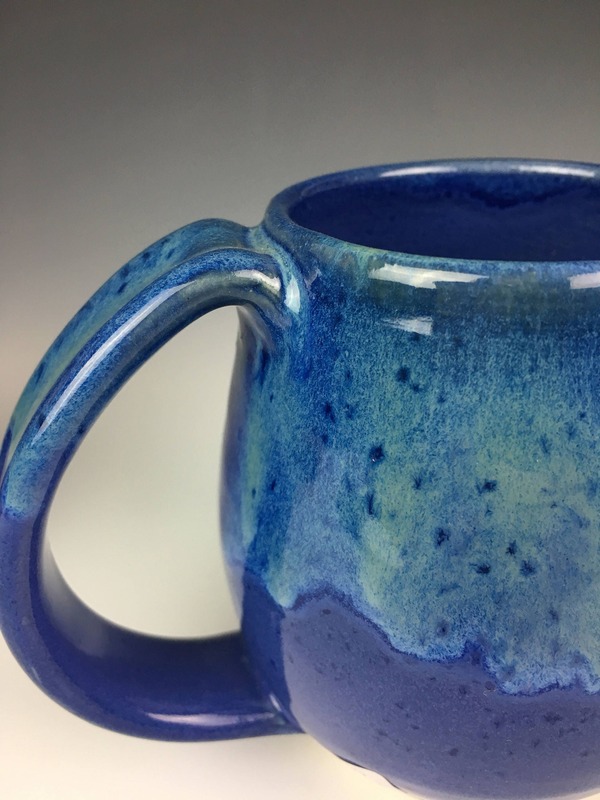 After drying and firing I glazed it in a cobalt blue glaze with layers of blue and green dripping down from the tip edge. 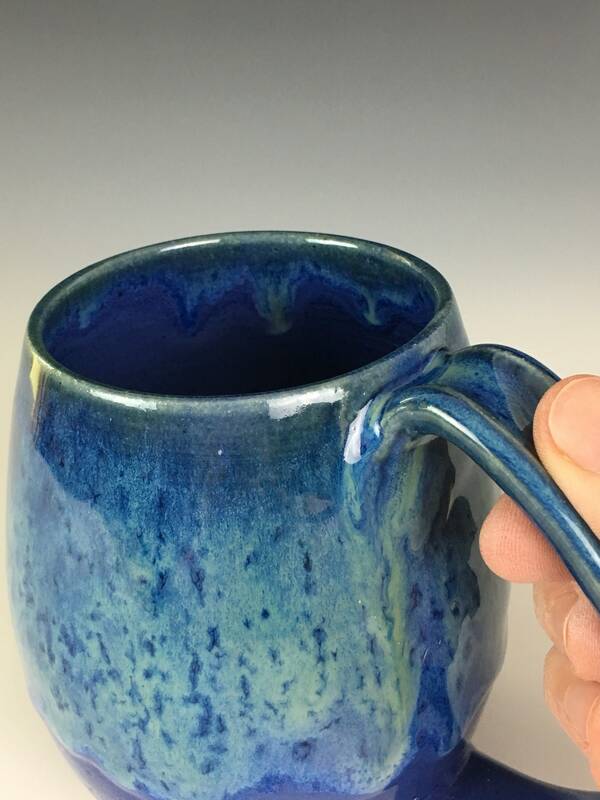 This mug holds an approximately 14oz latté (14-16oz). It is lead free, microwave and dishwasher safe. This purchase is for one mug, but more may be available. 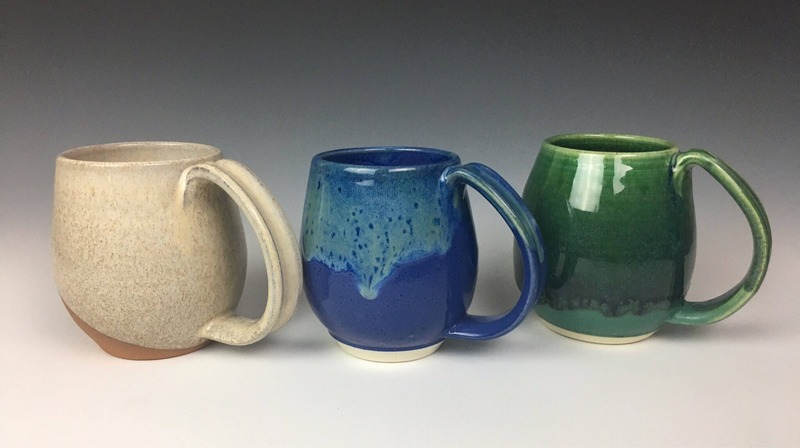 They are made one at a time so no two are exactly alike, -especially the drips!- but they are very well matched. 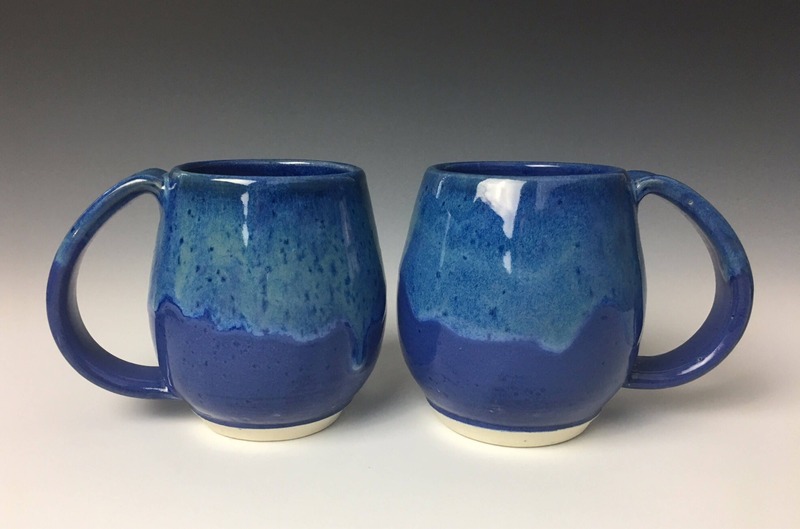 This listing is for one mug but I am happy to combine/discount shipping on sets. Check my listings or contact me for matching bowls, salt wells, oil cruets, pitchers.... Comfortable, roomy handle, four-finger-handle for most! 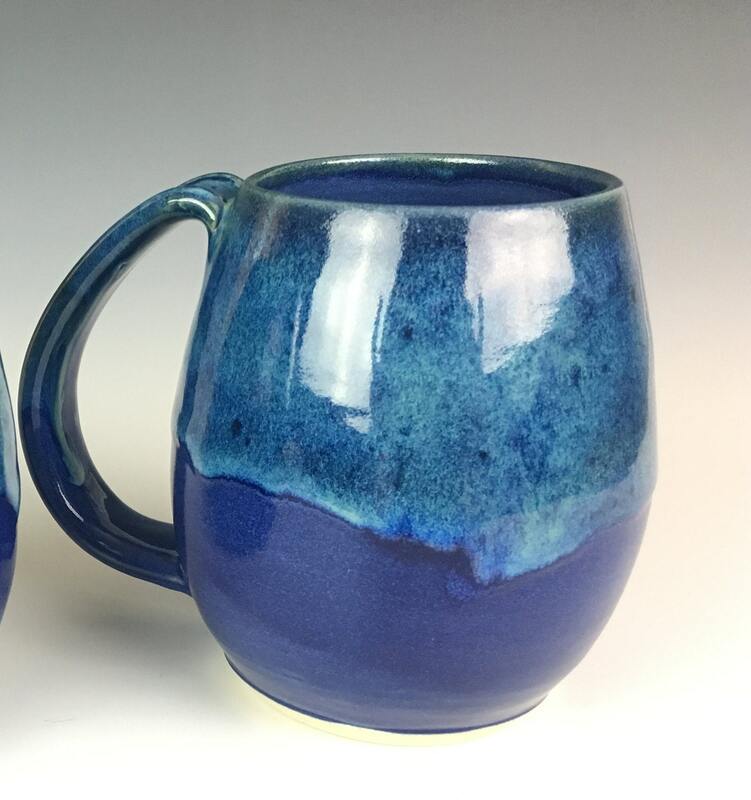 I call this mug the Northwest Mug, because it is designed specifically to keep your large coffee warm and to fit comfortably in your hands. 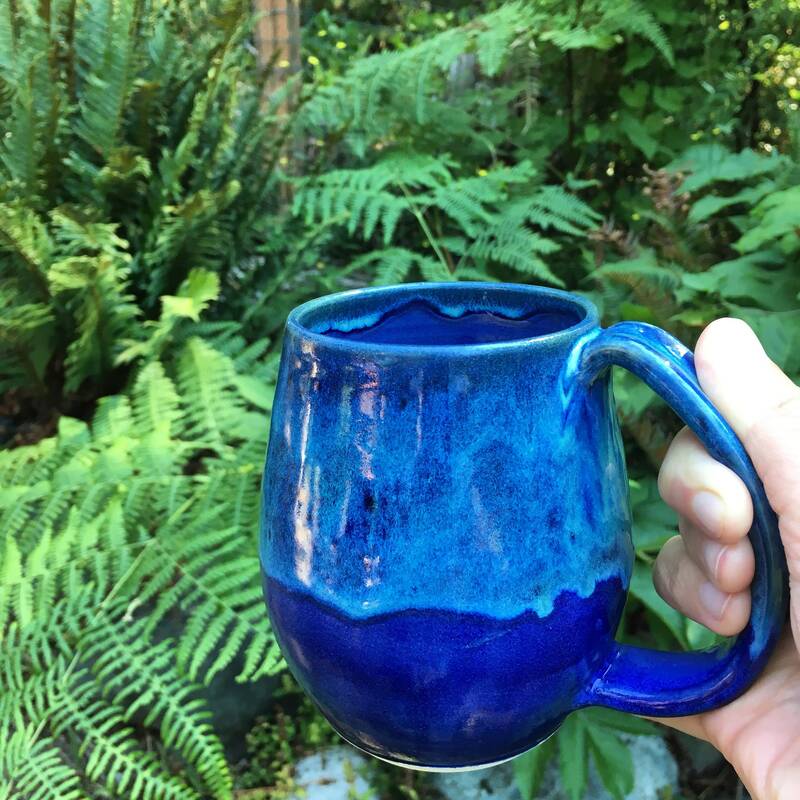 Coffee tastes better in a handmade mug!